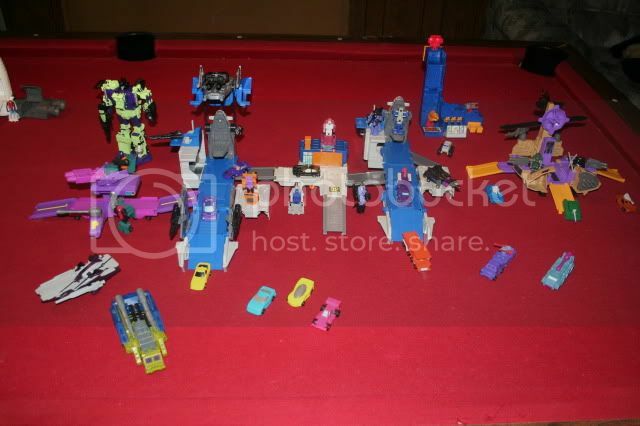 Discussion in 'Transformers Toy Discussion' started by BarBoBot, Jul 28, 2010. Hello everyone! 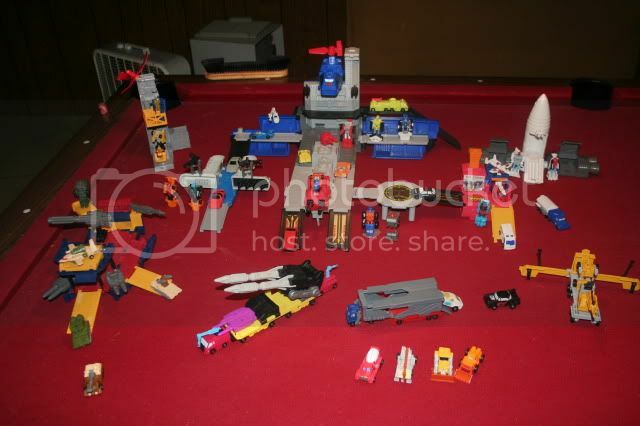 I have run into some money trouble and decided to part with my micromaster collection. I need to sell it as a lot, since I dont have time to split it for sale. I would greatly appreciate an estimated value of what I have so I may determine a selling price. Thanks in advance! Pictures were taken before I decided to sell, so if you have a question about anything in the pictures just ask. Maybe $500 in value, on the high end. If selling as a lot probably chop that in half, especially if you need cash now. Probably get more for the pool table.